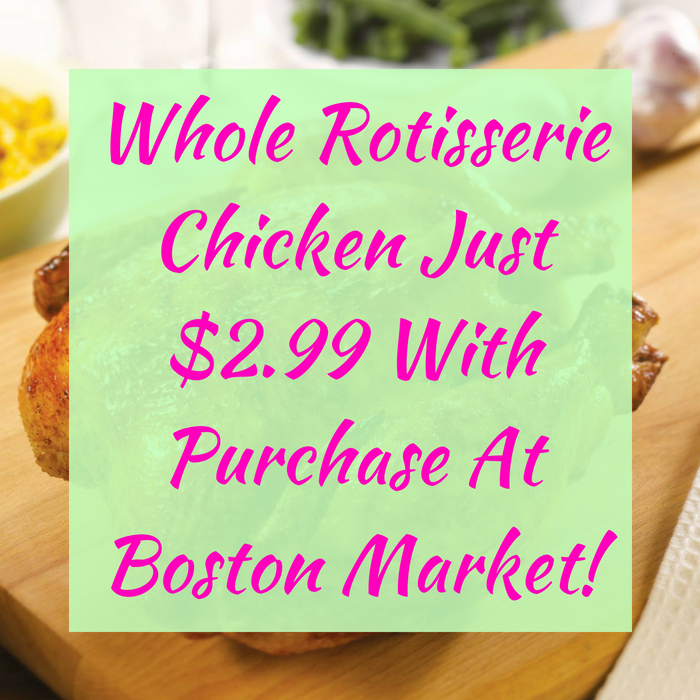 Whole Rotisserie Chicken Just $2.99 With Purchase At Boston Market! You are here: Home / FREEbies / Whole Rotisserie Chicken Just $2.99 With Purchase At Boston Market! While supplies last or until May 31! Hurry over to participating Boston Market locations where they are offering a Whole Rotisserie Chicken for just $2.99 with any family meal purchase! No coupon required! This is a great time to celebrate with family with less cooking time.